The group meets once a month on the third Tuesday at 2pm in St Paul's vestry. There is a program for the year and the group tries to make it interesting for all members. There might have a speaker or the group may go on a trip to somewhere nearby or have a film afternoon in a member's home. Sometimes there is a 'bring and share' day so that the group can lunch together. The meetings finish in November with an early Christmas lunch. Being a fellowship, the group welcomes ladies from other Parishes to join them. Anyone who attends will be made most welcome. This is organised at Euroa Primary School with breakfast available for the children on three mornings of the week - Tuesday, Wednesday and Thursday from 8.15am until 9am. Any church or community member is welcome to attend and assist. Contacts: Josh Mosely at the school. For those with more time on their hands, assistance at Euroa Secondary College is also welcome. This is held each week morning - Monday to Friday - from 8.30am. Contacts: Josh. ​ Our Parish Dinner is an annual event that is the perfect opportunity for all members of our Parish to get together in a welcoming environment. The dinner is held in St Paul's Hall, usually with a three course sit-down meal and musical entertainment. There is every effort to keep the cost down but at the same time providing a delicious meal. In 2015 we were delighted to have Nicky Pummeroy (nee Blackie) to entertain us. Nicky has an amazing voice and currently performs regularly with the Shepparton Theatre Arts Group (STAG). We were all enthralled with her choice of songs and her performance. In addition we are very lucky to have the services of Gary and Margaret Chowanetz, Phil Squires and Garry Kenyon, all talented musicians, who kept the evening moving along with great dance music. We did not hold a dinner in 2016 or 2017, but rest assured, our dinner will return. As always parishioners from all three centres pitched in and made this a wonderful day for both the church and the community. The Op Shop was open and in many cases this introduced our shop to some community members for the first time. ​All in all, it was a wonderful day and again a great fund-raiser for our churches. 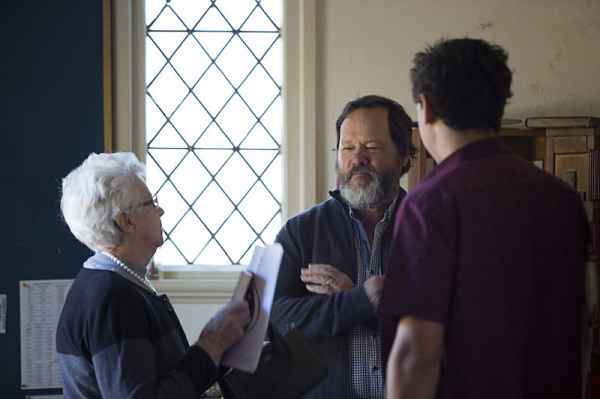 The Ecumenical Dinner is an annual event which is organised by the combined churches of Euroa. The clergy from each local church meet regularly and organise activities and events. Each year the church responsible and location is rotated.